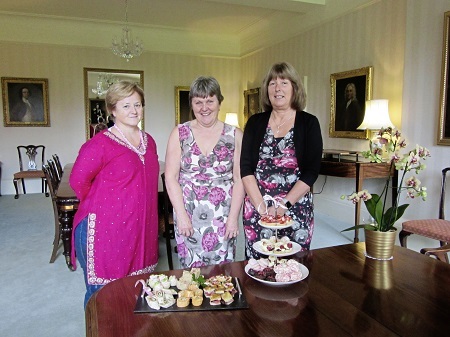 A FUNDRAISING tea organised by the Guernsey Soroptimists raised about £1,300 for the Pink Ladies. While similar events have been held in the past to raise funds for various groups including the breast cancer charity, this was the first time that the afternoon had been held at Government House. Please click here for more information. 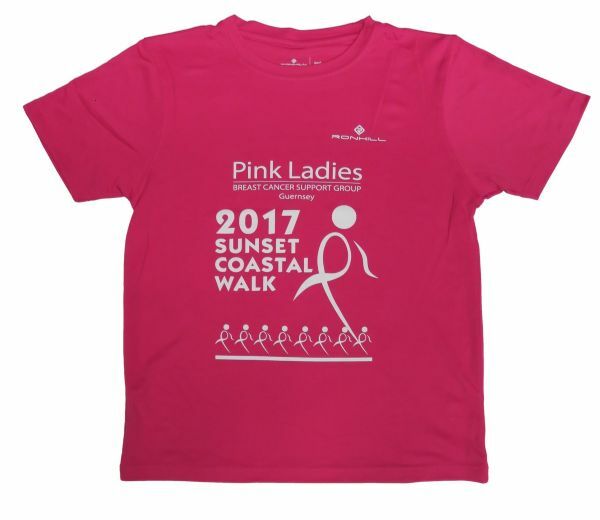 Sunset Walk t-shirts are now available to purchase at £10 from Fletchers - first come first served so get yours today !! THE Sunset Walk is the Pink Ladies’ flagship awareness biennial fundraiser. 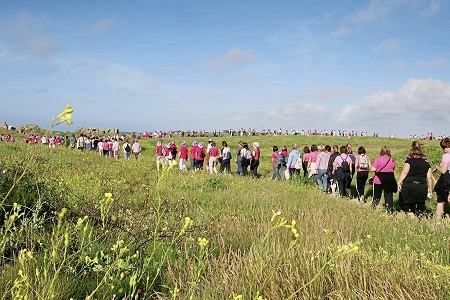 This year’s event, which is supported by the Guernsey Press, takes place on Saturday 24 June and it is hoped hundreds of women will once again brighten up the coastal paths in splendid pink garb. Please click here for more information. - 28/03/2017 Please click here for our sponsorship forms..
A RIBBON of colour will once again appear along the island’s coastline this summer as the Pink Ladies’ Sunset Coastal Walk returns. Please click here for more information. 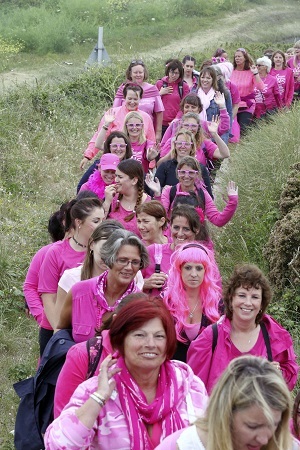 The Pink Ladies are delighted to announce that this year's Sunset Walk will take place on Saturday 24th June. So ladies, start getting your friends, colleagues and relatives together for another wonderful (and emotional !) event, which is all about helping Guernsey breast cancer patients. We are still finalising entry and sponsorship forms so keep an eye on this website for further details. We look forward to seeing you on 24th June ! Lucy Potter from Lucy Rose Jewellery will be taking over the OSA pop-up shop in Smith Street between 13-18th February. Please click here for more information.